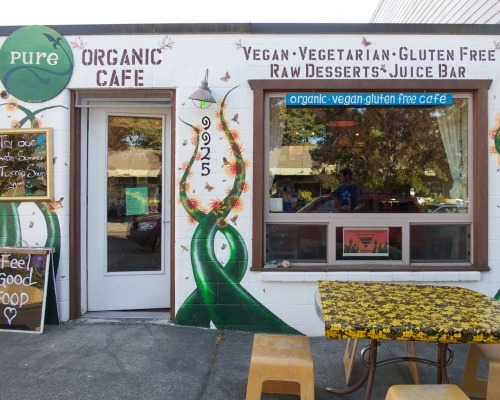 For our 2nd wedding and 3rd engagement anniversary's we took a day trip to Vashon Island - we didn't think much about where we would eat at the time, but I did recall that I had previously taken note of a few places. Having still been in the process of recovering from a rather indulgent foodie trip to Portland, I was looking for something super healthy. So we decided on Pure Cafe which serves organic vegan and gluten free cuisine. 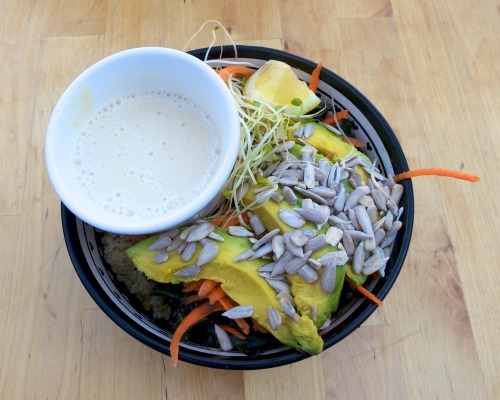 I ordered a delicious bowl filled with warm quinoa and topped with avocado, carrots, sprouts, and sunflower seeds - totally delicious and amazing. Pure Cafe was such a wonderful relaxing spot with each dish individually prepared and the staff were awesome. Since we had brought our pup with us, having the outdoor seating as an option was just perfect. Oh and did I mention the amazing smoothy I had! Closest to an Oreo cookie shake I've had in oh so long! 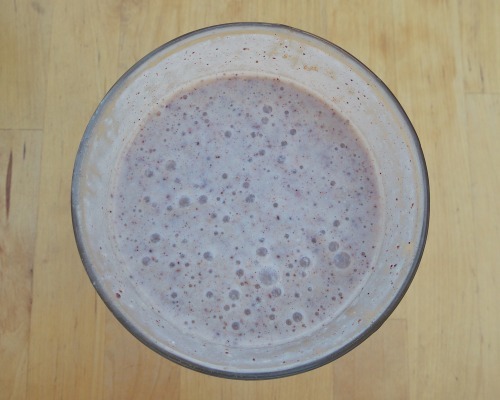 This one involved cashews, almond milk, and cacao nibs - might have to try and recreate this one at home. Have you ever been to Vashon Island? Where are your favorite places to eat?